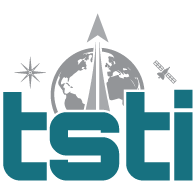 Teaching Space and Technology, Inc. (also referred to as “TSTI”, “Company”, “we”, “us”, “our”) provides online and onsite science and management related trailing, coaching and consulting services (“Service”). At TSTI, we respect your privacy and are committed to maintaining robust privacy protections for Users of our Website and Service (“you”). This policy describes the types of information we may collect from you or that you may provide when you visit our websites (“Website”), including, but not limited to www.tsti.net and online.tsti.net. It also outlines our practices for collecting, using, maintaining, protecting and disclosing that information. Information that you provide by filling in forms on our Website or in person. This includes information provided at the time of registering to use our Website or Service, posting material or requesting further services. We may also ask you for information when you report a problem. Web Beacons. Pages of our Website may contain small electronic files known as web beacons (also referred to as clear gifs. pixel tags and single-pixel gifs) that permit the Company, for example, to count users who have visited those pages or opened an e-mail and for other related website statistics (for example, recording the popularity of certain website content and verifying system and server integrity). To provide you with information about our Service. To notify you about changes to our Website or any products or services we offer. You may send us an e-mail via our Contact Us link to request access to, correct or delete any personal information that you have provided to us. If you request that we delete your personal information, your user account will also be deleted. You also have the right to see, amend, delete or have a copy of the data held that can identify your, with some exemptions, by contacting us through the Contact Us link of this Website. We may not accommodate a request to change information if we believe the change would violate any law or legal requirement or cause the information to be incorrect. We have implemented technological measures such as encryption, firewalls and secure socket layer technology designed to secure your personal information from accidental loss and from unauthorized access, use, alteration and disclosure. The safety and security of your information also depends on you. Where we have given you (or where you have chosen) a password for access to certain parts of our Website, you are responsible for keeping this password confidential. We ask you not to share your password with anyone and log out of your account after each use. Your continued use of this Website after we make changes is deemed to be acceptance of those changes.